You must go now to see and experience travelling in the beautiful land of a people who once ruled half the northern hemisphere! The world and Mongolia, are changing so fast that eventually the differences between cultures and countries will be hardly discernable. They will be just like us! In many parts of Mongolia, time has virtually stood still in many ways. Some nomads have cars and motorbikes but they still ride horses into town and still live in gers and wear the centuries old traditional clothes every day. In a country without fences, the only boundaries for the nomads, and for you, the traveller, are the international borders with Russia and China. The rolling steppe and magnificent mountains seem to go on forever, giving you a sense of space and freedom that you need to experience personally, to be able to understand. This is the land that conceived Ghiggis Khaan, the ruthless warrior feared by millions 800 years ago. The land that has more horses than people. The land where you can camp where you like, when you like, without fear. A harsh but gentle land with calm, friendly people. Heading home to the Ger with some supplies. Milking the horses to make Airag, the favourite drink of the Mongolian nomad.. The gates of the Palace of The Bogd Khan. Give up your 21st century, western lifestyle for a while and come to Mongolia where the pace and the scenery are completely different, where your mental pictures of the Gobi desert and the Mongolian Steppe get a complete overhaul. Come feel the breeze from Russia and breath the dry, clear air of central Mongolia. See the ancient monasteries and experience the crowded avenues of the town markets. Walk the billowing dunes of the desert and sleep in the gers that have always been home for the warrior and the nomad. 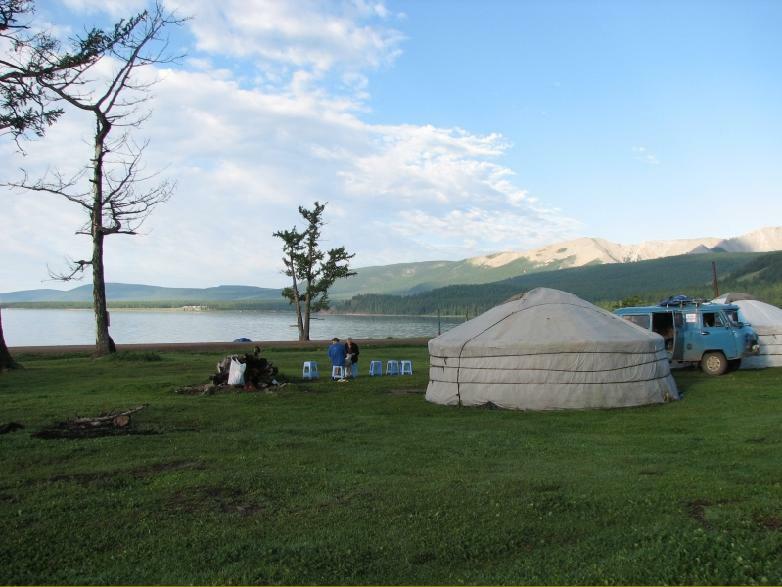 In Mongolia, nothing is difficult when you travel with us. We look after the hard bits. From the airport pickup to getting around the capital, we'll have someone there to guide you and when we're travelling in the countryside, we'll make sure there's some food that's familiar to you. We're not going to put you in cotton wool though! We'll involve you in everything that's happening, from helping to buy food in a Gobi town, riding camels or horses on the steppe or sand-dunes, to drinking fermented mare's milk or eating blow-torched Marmot with Mongolian Nomads. We'll see to it that you learn something about the history and culture of Mongolia and that you get to see the important places and scenic wonders that make up Mongolia's heritage. our 2019 tour or we'll organise one for you on a date and for a length of time of your choice. Just CLICK HERE X and send us an email. Together we'll work out what will be the best option for you and begin to make it happen when you are ready! I have had 40 years experience running safaris, expeditions and tours in the wildest places. So, you can be sure I know what we are doing. GO TO THE PAGE WITH DETAILED INFORMATION. I want to go but "what about my kids"? You can take them too! We are happy for you to bring your children to Mongolia. We can give you a family adventure holiday!